Are you joining us NOW? “Are you joining us NOW?” we hear many of our volunteers to Earth ask. “Pretty much,” is our unified response that we send deep into the consciousness of the many who are asking us that question. “What do you want me to do?” The volunteers usually ask. The awakened ones are ready and eager to contribute all that they can to the process of personal and planetary ascension. “Build a team of dedicated ones who can join in Unity Consciousness. This Unity Consciousness will greatly boost the individual consciousness of each of you into the greater bandwidth ofgroup consciousness. Then we ask that each of you share your experiences and place them in with others. In this manner, you will begin to ‘make ascension normal’. Once ascension is normal, the fear of the unknown will be easily released. Then, any one new to the experience of ‘peeking into the fifth dimension’ will have a support team with whom they can communicate and share. “In this manner, Unity Consciousness will expand into Planetary Consciousness. When the greater percentage of consciousness is calibrated to Planetary Consciousness, Gaia will have the support She needs to begin Her transition. “Then, the human members of Earth’s Planetary Consciousness will merge deeply with whatever area of Gaia’s body that they are on within that NOW. Know that there are NO mistakes or accidents in ascension. Every “mistake” is merely an energy field that must be balanced and released, and every “accident” is that which you have avoided and need a nudge to remember your chosen mission. “The transmutation from a third/fourth dimensional physical vessel into a fifth dimensional/and beyond vessel is very challenging for your human consciousness. To your every day consciousness, the sensation and process of ascension feels a great deal like impending death. Therefore, you will need to trust your deep, and usually hidden, memories of other incarnations in which your body died, but the essence of YOU returned to your higher dimensional body of light. One thing that will assist you during this NOW is that both you and the planet are returning to your innate higher resonance of reality. Hence, those of you who are deeply connected with planet Earth will be able to merge your personal experience with Gaia’s planetary experience. Once one wearing a human form remembers that a planet is a living, sentient being, their consciousness instantly expands beyond the third/fourth dimensional limitations of time/space and soars into your fifth dimensional freedom of ONE with ALL life within that NOW. We say, “within that NOW,” because you will all have “trial runs” and “dress rehearsals” in preparation for your process of ascension. You may well think that you are “sick” during that experience because your body will be attempting to release its attachment to its third/fourth dimensional operating system in order to complete your alignment with your fifth dimensional operating system. During this transition, which most of you spread out over a rather long 3D/4D “time,” you will likely be quite uncomfortable within your transmuting earth vessel. You may even feel like, or be afraid that, you are dying. We wish to speak to this concept in greater depth, as the sense of, or worse yet, the fear of dying, can lower you state of consciousness. Then, once your state of consciousness lowers from the threshold into the fifth dimension and down into the third/fourth dimensions, your experiences of ascension will stop. This experience of stopping the process is actually very helpful to our ascending ones. You would not want to drive a car without brakes, or hike to the peak of a mountain without stopping to regenerate your energy field. In fact, “regenerating your energy field” is a vital component of your ascension process. The best manner in which you can “regenerate” is to connect with the higher dimensional expression of your multidimensional self who is assisting you with this process. Also, when you feel the need for comfort and support, we highly suggest that you contact your higher dimensional self. Your higher dimensional expressions of self are YOU. Just as you may slip your hands into a pair of gloves, you have “slipped your higher dimensional consciousness” into your present earth vessel/ physical form. When you put on your gloves, your hands look like the gloves, not like your skin and bones that are within the gloves. In the same manner, once you “slip on your earth vessel” you look like a human. But, just as your hands are inside of your gloves, YOU are inside of your earth vessel. You wear gloves to protect your hands from the inclement weather when you go “outside into the cold,” and wear an earth vessel to protect yourself from the “inclement fear” of the many humans who are NOT ready for the truth. When you chose to incarnate on Earth to assist her with Her planetary ascension, you slipped your SELF into the earth vessel that you are currently wearing. The earth vessel that you slipped into needs your help now. You have likely forgotten all the training you had before you lowered your frequency enough to actually wear a third/fourth dimensional earth vessel. You may even have forgotten that YOU are a fifth dimensional, and beyond, being of light. Your true resonance is far too high to enter an earth vessel without damaging it. For example, if you were to try to wear a child’s gloves, you would likely damage them by trying to squeeze you adult hands into a child’s small gloves. It is for this reason that you only placed the lowest third/fourth dimensional frequencies of your consciousness into your third/fourth dimensional physical body and human aura. Those of you who chose to be “awake” as a child could feel this “being” that was always around you. Your culture likely told you that this being was “God” or whatever name your culture used to place a name on that, which was beyond the frequency of the physical dimension. Many of your third-dimensional “gods” were actually just fourth dimensional beings that were as polarized as their human counterpart were. Therefore, these “gods” had many wars to prove that their god was better than another’s god. However, a true infinite being, a God, would NEVER suggest any form of power over, fear-based action or belief. Nonetheless, many “holy wars” were fought to see who had the “best god.” The truth is that GOD does not fight. GOD resonates to the frequency of Unconditional Love, Unconditional Forgiveness, and Unconditional Acceptance of ALL life. Once you, our grounded ones, begin to incorporate the above “unconditional qualities,” your process of ascension begins. Unfortunately, it is extremely difficult to live within the resonance of the above qualities while you are still wearing your physical earth vessel. 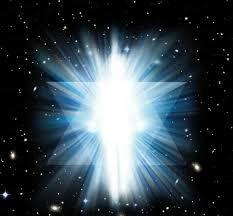 The above Divine Qualities are innate to the resonance of your fifth dimensional Lightbody SELF. As you continue to try to remember to live within these fifth dimensional qualities, your consciousness begins to expand beyond the limitations of your third/fourth dimensional consciousness and body. As your consciousness “outgrows” your physical shell, your process of returning back to your fifth dimensional and beyond SELF begins. With the commencement of the activation of your fifth dimensional Divine Qualities, your third/fourth dimensional consciousness, perceptions, thoughts and emotions begin their transmutation into the fifth dimension and beyond. “Transmutation” is not the same as “change.” Change means that new elements of the same base frequency of your resonance are added to your sense of self. Change can also mean that you have released some of the old elements of your 3D/4D operating system. “Transmutation” means that the frequency of resonance of any perception, experience, thought, emotion, desire, etc. has expanded to embrace the next octave of the reality in which you are currently engaged. This octave jump is what is occurring within the consciousness of many of the humans on Earth. We wish that we could say the majority, but it has not yet become the “majority” of humans. However, the aura of an awakened human holds ten times (or more) light than one who has not yet awakened. We say “not yet awakened” because our awakened ones’ first assignment upon remembering their true Multidimensional SELF, is to share that information in whatever manner best fits the talents and abilities. If EVERY awakened one “spread the word” within their own manner, the process of Gaia’s ascension into her fifth dimensional resonance would be NOW. It is for this reason that we are calling ALL our volunteers to assist with Gaia’s ascension to awaken to their true SELF, remember the Mission that they chose before taking that embodiment, and fulfill the mission that they chose. However, some of our brave volunteers have had more trauma then they can clear without the assistance of others. Fortunately, more and more of you are recognizing each other and openly assisting your friends from the Ship who have become lost in the many challenges of the third dimension. At first you may assist them via your consciousness. If you can make a “consciousness link” with that person, you will find a way to communicate via higher dimensional consciousness. When you have established this “consciousness link,” you can greatly assist that person to fully ground their fifth dimensional energy with the core of Gaia. Once their fifth dimensional energy field is fully grounded into Earth it is quite simple for them to remember to send that energy down into the Earth, to personally “plug in” to the core of Gaia. In this manner, their human, personal energy merges with Gaia’s planetary energy. This merging process of people and planet occurs once a human gives their full permission to share their personal energy field with Gaia’s planetary energy field. This personal/planetary arrangement only occurs when your human self is fully aware of your Multidimensional Self. Once one shares their conscious, fifth dimensional awareness of SELF with Gaia, they can more easily remember that THEY are greatly honored to be able to share their vessel in this manner. We, the members of your multidimensional self, do NOT enter the first through fourth dimensional aspects of your self, as those frequencies are still bound by time and the separation that time creates. However, we have merged our fifth dimensional SELF and beyond with the highest fourth and fifth dimensional consciousness. From our perspective, we have always been merged in this manner. However, you were not able to embrace that concept until you were able to activate your fifth dimensional thinking. Many of you may project your experience of us, your Galactic Family, to the “outside” of your earth vessel. Then you may wonder why we could always be where you were. You see, we are YOU, but only in the fifth dimension and beyond. Many of you have forgotten that you are the component of those of the collective consciousness who chose to lower a part of our consciousness, perceptions, experiences and sense of self into a birthing baby. We, including you, overlit that baby long before it was born. Many of you have been talking with your fifth dimensional self ever since you were born. In fact, some of you always communicated with us and always knew that we are your family. We could not give you these exact details until your society was on the cusp of its great transition. It could have been dangerous for you to know that information in a world that was still ruled by Power Over Others. Most of you were already “too different” for many and already had enough secrets to keep from the 3D ones. Many of you never felt comfortable in your body, which is why you had so many issues with how you looked. On an unconscious level you remembered your tall, slim Pleiadian body, so you always thought you were too “fat” or too “short.” Also, your mind was so engaged with us that some of you did poorly in school for many of your Earth years. Many of you who are NOW awakening to your true SELF, are having the “transmutation symptom” of dizziness. Your transmutation symptoms usually start during your dream state in which you are actually visiting to another reality. Many of you go to Venus because it was your NOW to activate a frequency upgrade. However, the “upgrade” can be quite challenging for your physical body. Some of symptoms of transmutation are pain in a weak area of your body, as well as dizziness that can often last for as long as seven days. The dizziness is a reaction to the your perceptions being expanded into the higher frequencies. Those who are wearing an older earth vessel may have more difficulty adapting to this upgrade than other, younger people. This experience is much like putting a new part into an old car. It takes the car a while to integrate the modern upgrade. We want you to know that these upgrades will eventually intermingle with your “old fashioned” energy patterns. Therefore, you do not need to be concerned. Many of you who volunteered to be a “prototype” for the new earth vessels came into your earth vessel after the close of World War II. Numerous couples were separated during the war and wanted to celebrate being together again by have a new baby. Also, since so many people died during the war, it was within your “animal instincts” to create more humans. Hence, the Baby Boomer Generation was created. Since this “Baby Boomer” generation saw many new inventions and discoveries, they are more innately prepared for the latest discovery that “ET”s are REAL. There are many leaders from this generation who volunteered to see if they could project these new fifth dimensional energy steams into an older earth vessel without causing damage. The reality is that all of you will experience discomfort at first, but we are very happy to say that most of you have been able to adapt quite nicely. Many arrangements are made during you nightly visits to your Ship to assist you to consciously recognize that “something” is VERY different. Dear Readers, In the below comment, Shawnna shares how she plans to prepare "others" for First Contact. How do you plan to prepare others for First Contact. In Fact, how do you plan to prepare your self for First Contact.Lets "Make Ascension Normal" and have a chat about how we plan to prepare ourself and others for First Contact. What you have to say is important. Please feel free to share. First of all, there is importance inactively seeking and searching for the truth. I see value in focusing on raising the overall knowledge and awareness of our true history of actual contact with and guidance received from our galactic family. The truth has been covered up and pushed aside, and it is time to revive these very significant occurrences. An important part of this awareness process is understanding that humanity is reaching an important point in its natural, evolutionary process. Our DNA is being activated by the enhanced cosmic energies, and new abilities are being awakened as we become the new human prototypes. Awareness of our innate connection to the planet is introduced, and we claim our recognition that we are one with the planet, GAIA (Mother Earth), who is an intelligent, sentient, supportive, generous, and loving being. We begin to understand that our larger galactic family is here to guide, educate, and empower us to become the evolved human species we were always intended to be. Secondly, I envision assisting humanity with the process ofawakening to the true power that lies within. There is potential within each person to take time to disconnect from the daily routine and survival mode in which so many find themselves. As meditation and higher self connections become a regular habit and priority, the creative energy and passion for life is re-awakened. As a society, we begin to actively create our own ideal reality as we become masters of our thoughts, emotions, and transmutational power (using the violet flame.) We understand that our thoughts create our reality. We understand that there is much potential, and it is time to be the change we wish to see in the new and empowered world. We recognize that we are all connected and are an integral part of a greater cosmic consciousness. We encourage continual connections in unity consciousness. Third, I see the natural evolvement ofeach awakened person falling into the embrace of unconditional love. Our Higher Selves, galactic guides, angelic guides, Inner Earth family, and Divine Complements are invited and allowed into our beingness as higher states of consciousness are reached. Emotional maturity facilitates the expansion of our awareness and enables the connection of our multidimensional mind and our high heart. The portals of unconditional love and higher dimensional connection are opened, and first contact is made within. A new bond is formed, and it facilitates a continual and ever-expanding influx of continued creativity, awareness, protection, strength, confidence, awareness, wisdom, love, compassion, forgiveness, and peace. In conclusion, we each surrender to our higher guidance and connections, and we begin to embody our higher selves and serve as portals of awareness, potential, and higher dimensional energy which is anchored into this dimension and into the core of GAIA. We ARE the new human prototypes, and we are here to serve as pioneers who are co-creating the highest possible reality in this frequency to which we resonate. We share our personal journeys, and we encourage others who are ready to take the voluntarily step into deeper awareness to claim and activate their infinite wisdom, multidimensional power, and unconditional love. In deepest gratitude, I say thank you to Dr. Suzanne Lie and the Arcturians for their tireless efforts, patience, and guidance, and I feel so very privileged to be an integral part of such a significant “time” or “frequency of reality” in the evolution of humanity.